Feeling she “had nothing to lose”, the San Francisco Bay-area former federal public defender deposited two tiny drops of the psychedelic drug under her tongue – and soon felt her gloom subside. Waldman says she renewed her spirit by “microdosing,” a modish – albeit illegal and potentially risky – trend that involves ingesting a nearly imperceptible portion of a psychedelic drug, often LSD or psilocybin mushrooms. The goal is not to hallucinate but to boost work performance and creativity – or, as was Waldman’s case, treat a laundry list of ailments including mood disorders. “Within the first day I felt better,” she said. She credits her daily LSD regimen of some 10 micrograms of acid – about one-tenth of a full, far more kaleidoscopic hit – with improving her relationships and enhancing her work. “I would have access to ‘that flow,’” she said, describing how subtle doses of LSD changed her writing habits. Your mind moves swiftly but not erratically, with a kind of really delightful focus. Microdosing has gained traction outside drug-enthusiast circles in recent years, particularly among young professionals in California’s Silicon Valley looking to dial-up their careers. Carl, whose name has been changed for fear of legal repercussions, works in media in Washington and told AFP he has microdosed with LSD at work some half-dozen times in the past year. “You’ve got more energy,” the 29-year-old said. The core of your consciousness is still there – you just might be a little bit more in touch. Oliver, whose name has also been changed, describes dropping microdoses as a “very mild euphoria – almost like anticipation of something good”. The 25-year-old, who is also a media professional in the nation’s capital, has taken recreational tabs of acid – which he said have run him about 10 dollars each – in addition to tiny doses. Rather than a full psychedelic experience, he said microdosing gives him “a slight sharpening of concentration, I think produced by the effect that LSD has of making everything feel textured and interesting”. Oliver said he thinks of microdosing as “a cop-out way of doing psychedelics”. “It’s much less threatening,” he said wryly. And is less likely to like, cause temporary ego death, or make you spiral into soul-crushing confusion over the changing color of the sky. 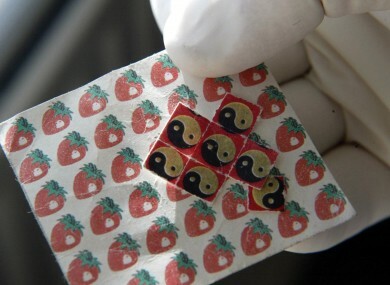 Microdosing is “totally unstudied” for both funding and legal reasons, he told AFP: LSD was first criminalised in 1966 and in 1970 the US government grouped it, along with psilocybin, in the most legally restrictive category of substances alongside drugs like heroin and mescaline. Still, he said microdosing warrants controlled study as “it’s absolutely interesting and very plausible that there could be effects of cognitive enhancement and anti-depression”. The legal gamble ultimately dissuaded Waldman from continuing to microdose. She received her initial 30-day LSD supply from a friend of a friend – but procuring more proved nerve-wracking. Until LSD is legalised – unlikely anytime soon – she said she probably won’t microdose again. If it’s a choice to die or commit a crime, I’ll commit a crime. Email “'The depression was just gone': People are microdosing LSD to try to improve their lives”. Feedback on “'The depression was just gone': People are microdosing LSD to try to improve their lives”.